Many people find it helpful to release all or parts of stresses through music. How about you? If you have the same answer, you may know that it's quite important to have a good music player program that can bring you the best audio quality ever. Among all available programs at the moment, AV Music Morpher Gold is a tool that definitely exceeds your expectation for a music player, let's find out the reason! Besides the ability to play songs in various formats like MP3, WAV, OGG, APE, AIF, IRC, NIST, AU and more. User can also add effects and surrounding sounds to make it more unique. 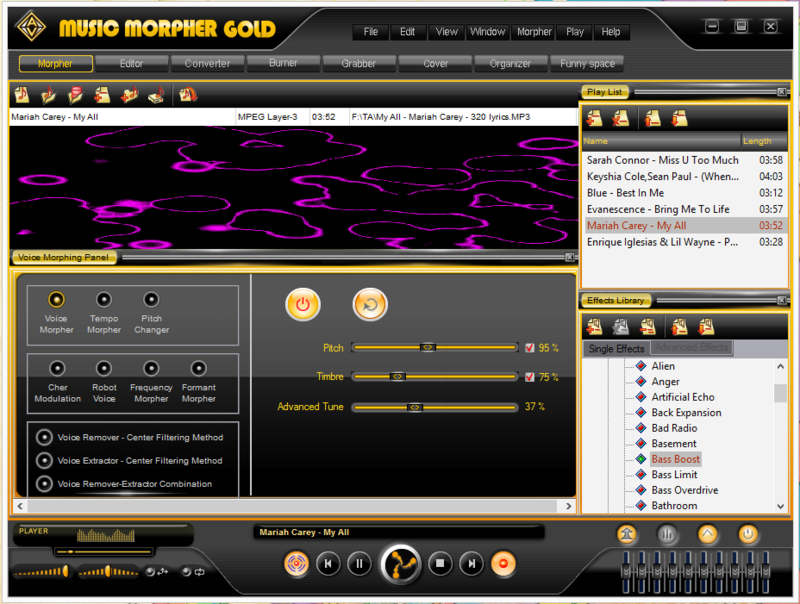 Standout from other program, AV Music Morpher Gold allows you to change timbre and pitch level of the singer's voice. You can turn a female singer's song into a male singer's song or a kid's song immediately. Or even make a singer's voice sound stronger as much as you like. In addition, this program also gives you the ability to make cut, mix, burn, grab and make cool CD cover for your playlist. Generally speaking, AV Music Morpher Gold is an advance music player program that will wow you with all the smart features provided. If you are fed up with your "ancient" playlists, take a visit to Funny Space which contains a variety of hilarious stories, video clips, songs and cool ringtones for your mobile phone.